Democrat 2020 candidate Robert Beto ORourke warned from the campaign trail in South Carolina Friday night there may not be another year of America if the Mueller report is not made public. 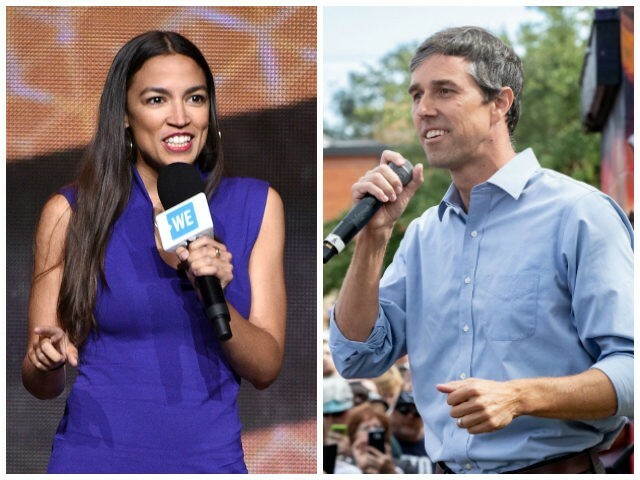 Republicans and Democrats should do whatever they can to make sure their constituents, the American people, can read that report, form their own judgement, make their own decisions, and that the truth comes out, ORourke said at a campaign stop in South Carolina Friday. For this democracy to succeed, people must put our country before their party, the next election, the approval of the president. What matters now is the future of the United States, he said. The Mueller report on Russian interference in the 2016 election was handed over to U.S. Attorney General William Barr on Friday night. Barr has indicated he may have initial information to Congress on the report as soon as this weekend. Can't see the FISA warrants though. That would endanger national security, right Beta O'Dork? These stupid Democrats arent going to like it once theyre in the briar part ch. Don’t ask questions you don’t want answered. Hm. Sounds like a threat to me. Master Beto, I’ve told you 37,750 times...stop exaggerating. The Democrats are obviously out of smear material. Careful what you wish for, Bobby. This scrawny dork knows details about what is in the report? Pencil neck Schit whispering as if he knows? There was no Russian interference in the 2016 elections. Only lunatics, liars or their parrots say otherwise. Spinning out of control nut case. Amazing. Please be the ticket, please be the ticket, please, please, please! I so hope and pray the truth comes out on the Kenyan from Indonesia and all the weasels who put him in office in violation of the Constitution and all of the crimes committed during the Kenyanesian Usurpation. Ooooooo, Beta Male threatens to take down the Republic. Bring it, pencil neck! You’ve got more confidence in voters than I do. And the system has way too much democrat fraud for my comfort. According to Beatoff, the whole world has only about 12 years left anyway, so what does it matter? This, coming from “The Squirrel”.